Have a dirty mouth? Let Ashley Gulledge clean it! Ashley has been through the same experiences you have, so there’s no need to fear when you come to our Virginia Beach dental office for your checkup. You will not be disappointed by Ashley’s non-judgmental and sweet demeanor! Make your appointment for a dental checkup with Ashley and Dr. Fasano’s office today. Contact us at 757-412-2235. As a child, Ashley didn’t practice good dental hygiene at home, or understand the need to floss. When she was in high school, her dentist suggested during an appointment that she become a dentist herself. Ashley laughed at the idea of being a dentist, given the amount of restorative treatment her teeth needed. That same day, however, she set a goal to become a dental hygienist in order to educate patients on keeping a healthy mouth and to prevent them from making the same mistakes she did. Ashley has practiced as a dental hygienist after graduating from Pensacola State College in Pensacola, Florida. She has worked with patients in Dr. Fasano’s office since moving to Hampton Roads in 2015. Learn more about Dr. Marybeth Fasano. 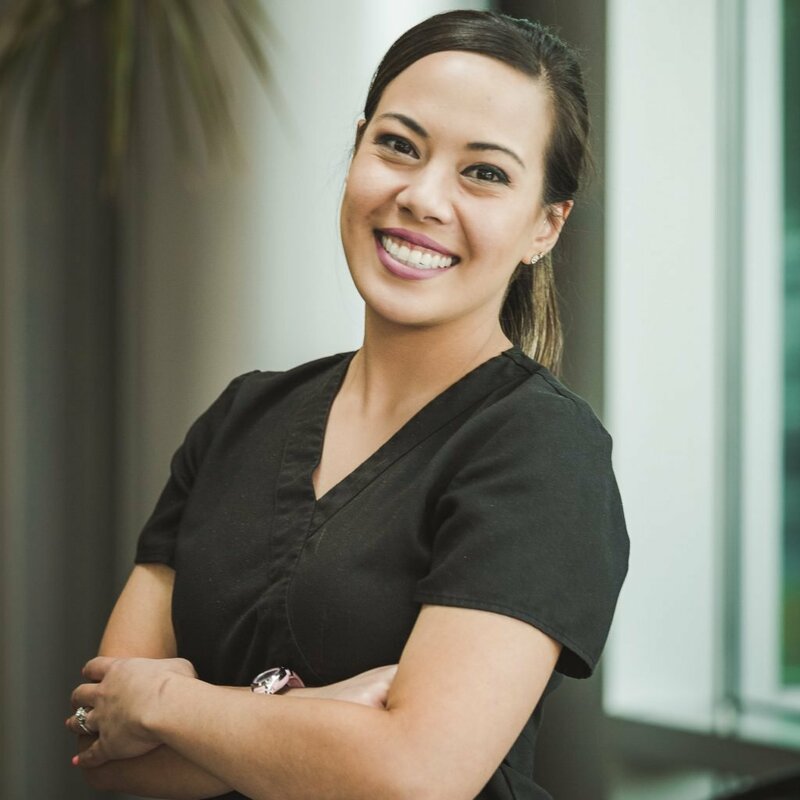 Ashley’s continuing goal is to provide her patients the best care with thorough periodontal evaluation and recommended at-home hygiene treatment. She is very helpful in providing individual customization of the best home-care recommendations and solutions, as well as thoroughly educating patients in all aspects of dental hygiene. Ashley lives in Hampton Roads with her husband Mikel and their puppy Mister Chopes, who is one of Fiona’s Friends.